One of the key factors that separates the wealthy from the ordinary is how they earn money. If you earn an hourly rate or salary, your earnings are capped by your time. If, however, you earn money in a variable manner…think ownership, equity, commission, or results-based pay…you can realize explosive growths in your earnings. But better yet, if your earnings aren’t tied to your time, some real magic can happen. You can free up time to spend in other ways. Perhaps you spend more time with your family. Or perhaps you layer in other types of variable pay. In fact, this is exactly the approach I discuss in depth in my bestselling book Leave the Grind Behind. Building up streams of variable pay is what allowed me to quit my job. But while many people I talk to fully understand the benefits of variable pay and having ownership in a business, most simply aren’t ready to start their own business. Is this you? If so, read on…this is an epic post. Here’s a summary of what you’ll find below. Do you wonder how other people buy big things like investment properties? If you’re working a standard job, it may seem impossible that other people are out there buying huge things. Fancy cars, nice houses, or things that you know will help set you free…like investment properties. I wondered the same thing. It was hard enough for me to buy one house, so how were other people able to buy many houses? Even if I continued getting significant annual raises, I didn’t see how it was possible. The answer is in how people earn their money. Perhaps those people have a standard job like you. But perhaps they also have a variable component to their pay. They were able to receive surges in cash every so often, and those surges have enabled them to get their money working for them. There’s no reason this can’t be you. A significant problem with a W2 job is you likely have some serious limits on your earning potential. Do you make $60,000 now? If you work hard for years and sacrifice yourself for the company, can you set yourself up for a $120,000 salary? Will that really get you where you want to be? When will you become a millionaire if you follow this path? Probably never. As I looked at the commitment top management gave to their companies and compared that to the compensation they received, I quickly decided I needed to find an alternate path. The real answer is to break out of the standard job path, and start focusing on ways to make money that have no ceiling. This is how people make millions. If you make $1 from something you sell to a million people, the math is pretty simple. What happens if you can make $10 per unit? What if that item continues to sell long after you stop putting direct effort into it? That can happen with books, software, and much more. This is the beauty of scalability. And it simply cannot be achieved at an hourly/salaried job, no matter how good or committed you are. People who own businesses often are pursuing their passions, but that’s not all. People can usually pursue their passions as a hobby…so there’s more to it. Business owners risk a lot: they don’t have guaranteed pay, they put up their own money to get the business rolling, and they can put huge amounts of time into their business. Why do they take these risks? Again, money. But more specifically, money earned in a variable manner. Owners understand that if they succeed, they will receive much more than a standard pay check. They will have created a money machine that can generate huge amounts of cash, leveraging the power of multiplication. This is true even if they are no longer working in the business. But what if you’re not ready to start your own business? Many people I talk to fully understand the benefits of variable pay and having ownership in a business, but they simply aren’t ready to start their own business. Is this you? Maybe they believe in the company they work for. Maybe they enjoy their job. Maybe they’re still a few years off from launching their own business. Whatever the case, there’s good news. 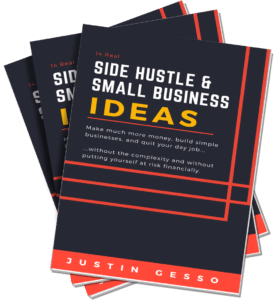 In fact, there are many ways to begin behaving and earning like a business owner while you work on conceiving your own business ideas. Variable income (such as passive income and results-based earned income) offer a particular advantage over traditional hourly and salaried pay: your time is not linked to your pay. Time is no longer a limiting factor. When you separate time from pay, you get to earn money even though you aren’t spending direct time on the activity. You may spend large amounts of upfront time, with no immediate pay and no promise of pay. However, your time…and therefore earnings…may begin working for you in the background. And they may scale up. Once you get an income stream up and running, you can move it into maintenance mode (e.g. rental property rented) and begin working on your next (e.g. publishing a book). As I began spending more time with successful people, I quickly learned they shared a common practice: earning multiple income streams. In other words, people who were extraordinarily successful in one area, were also making money elsewhere. They were playing the money game smartly. And they were able to do this because their income wasn’t tied to their time. This allowed them to spin up other forms of income and really get their money working from them. Option 1: Are you an influencer at your company? Renegotiate your pay structure. If you work at a smaller company, you may be pleasantly surprised how willing owners are to pay in a results-based manner. It reduces their risk and helps align goals. Likewise, if you’re at a larger company in a director-level or higher position, you probably have the capacity to truly move the needle at your company. For example, I have a friend who runs a portion of a large TV provider’s Pay-Per-View programming. He currently receives a salary, yet is responsible for growing Pay-Per-View buys. He isn’t a salesperson, but does influences a number that relates to the company’s earnings. This is the perfect opportunity to explore variable pay. On a smaller scale, I work with software engineers who spend the majority of their time on the end-customer’s premise. They often identify needs the customer has before the sales team does. Some are very good at it and have been instrumental in helping their company grow. Perfect. So if you work at a small company, have influence, or are in a position to identify opportunities, here’s the basic concept: ask your boss for a pay reduction. To start, compare the current sales volume of something you are able to influence to your salary. Divide it out to get a multiple. For example, let’s say you’re currently paid $10,000 per month and the company sells $100,000 worth of a particular widget per month. In this case, you make multiple of 10. You earn a base pay that is a lower multiple…say 7. That means you are taking less pay home in the short run, based on the company’s current results. Instead of earning $10,000 per month, you will earn $7,000 per month. That will get your manager’s attention. But a pay cut isn’t all you need to offer up. In addition, you will offer to expand your responsibilities in order to further improve sales of that particular widget. How are you going to commit to generating more PPV buys or more leads for your company? Now your money is squarely where your mouth is. If you’re good and the company volume increases by $91,000 per month, you’re now earning $20,000 per month…twice what you were before. That’s the power of variable pay. Your downside is limited, but your upside is not. By choosing a lower salary, you’re defining your worst-case scenario. It’s not great, but it isn’t terrible and it won’t cause you to go bankrupt. But what’s great is you’re creating an open-ended top. There’s no limit on how much you can make. If you are worried about taking variable pay, this is why you shouldn’t be. You are in control of your downside. You just need to adjust your finances and lifestyle a bit in the shortrun, but it’s well worth it. And that number can increase in two ways: 1) The company charges more per sale, or 2) The company makes more sales. If you can influence either of those, you need to negotiate variable pay. Guess what? You’re happy and so is your boss. If you do a good job, the pie increases for everyone. Being paid in this manner does something very important for businesses: it aligns goals. Your efforts are directly tied to the company’s top line. Small business owners, in particular, love this. The multiple will be a negotiating point. Plan on accepting a lower multiple than you initially propose. Come to the negotiation table with a plan of how you intend to improve sales. If the company is already growing quickly, you will have to take a lower multiple. Consider an escalating multiple. As you hit certain milestones, your multiple will increase. This is common with sales commissions. Remember that owners are risking their own pay and capital. They are taking a massive risk in running a business, which is why they are compensated so strongly. You are not taking these risks. Show your commitment with a reduced base salary, but understand this does not put you on par with the owners. Keep you expectations for your multiple tempered. The only tricky part on this is convincing the owner that you personally have significant influence on growth. Taking a pay cut goes a long way to showing your commitment, but you might also want to come with a detailed plan of how you’d go about driving this sort of growth, which includes additional responsibilities for you. Do your research and see where your company has pain points. Identify where you can help and what you can influence. Option 2: Do you work in Operations? Negotiate this. If you don’t think you are able to directly impact sales, fear not. Many of us spend a lot of time in the operations side of the house. While I still think many operationally-focused people can find sales opportunities very effectively, it’s not always the case. For example, what if you work in at a small book publishing firm. You coordinate the book publication process as new authors sign up. You work with editors, designers, publicists, printing, shipping, bookstores, and the rest of the publication life cycle that your company is responsible for. You would typically be paid a flat salary. Some months you may work a couple books; some months you may work many. But what if you were paid per book instead of a flat rate? So if you take the book project as an example, your fundamental work unit is a published book. Figure out what it is that you are truly a part of working. You help fulfill the delivery of a widget to a customer. What is that widget? Now, instead of a salary or hourly pay, you should negotiate a percentage of that service. So if your company charges authors $7,000 for every book published, you propose taking 10%, or $700. To figure out the proper percentage, revisit the last section. Whatever your salary is today, you need to propose a lower amount. That is, at current production, you will make less money. But if you’re able to push more widgets through, you can make much more money. It’s a win-win. What is your incentive? Efficiency and scalability. Exactly as in the previous section, your goals are now aligned with the owner’s. Operations should be as slim and efficient as possible. Companies want to provide great products and services, but with minimal overhead. You are now in a position of earning more money only if you are able to do more work. Perhaps you find automation opportunities, outsource components of the work, or simply improve your processes. This is how COO (Chief Operating Officers) are often compensated, and you can see why. If you can do more in the same time, you’re improving the company and you should be compensated accordingly. What was before grinding away at your job day-after-day is now a game. Doing your job better puts more money in your pocket. Is there a downside to this? Instead of just doing your job like you were before, you now need to spend time working on improving your job. The more units you can output, the more you make. This will take time and energy upfront. Option 3: None of the above work? Take a sales job. The simplest way for most people to earn variable pay is to take a sales job. If you have limited experience or poor exposure within your company, you will likely have a tougher time getting variable pay outside of sales. That’s okay, though. Sales provides exceptional experience and will force you to learn to have a results-oriented focus. You’ll also learn how to sell, which is a skill set you must have if you’re going to run your own business some day. That’s right, to have a successful business, you have to be able to sell whatever great product or service you have. In my opinion, if you ever want to have a great career of business, you need to have experience in sales. And the earlier in your career you can do this, the better. If you have a bad attitude about salespeople, like I did, listen to or read anything from Zig Ziglar, such as Secrets of Closing the Sale. Option 4: Don’t want a sales job? Alright, if you’ve made it this far and absolutely nothing works, it’s time to take matters into your own hands. Learn how to invest in real estate, market your ideas online, or sell your services (in a scalable manner) as a freelancer or consultant. We live in an awesome time where with the right education, all of these can be done on the side for much less money than you think. You are the only thing holding yourself back. 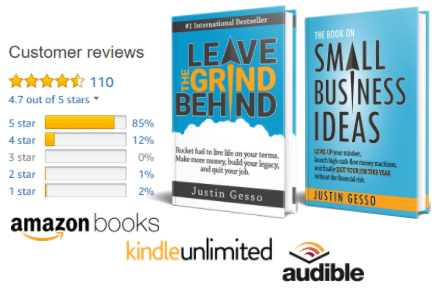 Get started by reading my book Leave the Grind Behind. It will shortcut your path. What are some benchmarks for variable pay? Apart from the multiple methodology I mentioned above, it’s good to have some benchmarks in mind when you go to negotiate with your boss. In addition to the standards I’ve given here, explore your industry by asking around your network. If one person puts up “the money” and the other (you) “the effort,” it is common to split net profits 50/50. If you’re largely responsible for the results of an existing business process, you might be able to swing 20% of net profits. This is a common amount I have established. Note that it may not be 20% of all net profits, but just for the business lines I influence. Explore sliding pay. Perhaps you earn 15% now. But if you drive overall production to a certain level, your earnings can jump to 30%. Your percentage increases as your results do. The math needs to be such that if you hit these levels, both you and your employer will be better off. If you’re part of a larger company, you likely make much less impact on results simply because it takes large teams to get things done. Additionally, the company’s profit margins are likely smaller, so there’s less to give away. In this case, you may take a different tactic, but should be able to negotiate 3% of deals. Depending on how much of base pay you have, the percentage ranges between 2% and 6%, with 3% being most common. This is typically for the life of the deal, so if it’s a 3-year deal, you’d receive 3% over the course of the 3 years, then it’s incumbent upon you to renew. Talk to your HR Department. The company may have already established plans in place for variable pay or gaining ownership via stock or other means. Unless you ask, your company may simply be unaware that you are seeking this mode of compensation. You company almost certainly has something in place for salespeople, so exploring and applying this model to non-salespeople is generally a simpler path than setting up a unique model just for you. In order to avoid jumping in feet first and losing your house, I recommend phasing in both passive income and results-based income. Take a small employment at some commercial property management Pasadena and wait for the right moment, I’m just making an example. Phasing is a key component of the book’s strategy and will help you quit your job with minimal risk. Phasing doesn’t need to take years. You can aggressively transition your income types. As you do, you will learn a lot about how to add value to other people’s lives, how to become comfortable without a steady paycheck, and how to win at the game of money. The goal here is to see your percentages shifting month-over-month away from hourly and salaried income. Had time to pursue fun projects like writing Leave the Grind Behind! The real estate space is the easiest for me to describe. I jointly manage a team of real estate agents. I negotiated out of my flat monthly fee to a percentage of the team’s earnings. Now my incentive is to grow the team and grow their performance. In order to learn about investment properties, I also offered to manage numerous rental properties. I did this as a flat fee initially, but changed it to a percentage of rent. This allowed me to grow my earnings up while still learning the investment game. In the technology space, I have negotiated in a percent of deal for any that I influence. With online marketing, I also used to take a flat fee for designing and improving websites. Now I take these projects earning a percentage of sales. These all come together with several more complex ones to really allow my earnings to grow based on my efforts. Monthly, these percentages are shifting toward passive income, which is a prime goal of mine. My objective then is pretty simple. When a new opportunity comes by, I seek out results-based income. That’s how the percentages move. Additionally, now that I have a steady base that keeps me comfortable, I continue to invest both my time and money in passive investments and projects. That should be a good primer on why and how to get started with variable pay. It’s truly life changing, so start putting pen to paper and create your plan for generating variable pay now. What questions do you have? What is your experience with variable pay?